CIDSE is an international alliance of 17 Catholic development organisations working together for global justice. Caritas Internationalis is a network comprising 165 organisations. It works for a world of peace, solidarity and justice. It provides help to victims of war, natural disaster and poverty and to migrants. 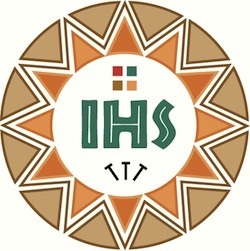 CIDSE and Caritas Internationalis together published in November 2014 the declaration: “Catholic international organisations facing up to climate change”. It is a powerful call for action to governments and international organisations to react quickly and in an effective way to face the challenges of climate change. The declaration is organised under four sections. The first one states that 2015 has to be the decisive year in order to make commitments in favour of future generations. These agreements should include: a) a decisive and binding agreement under the aegis of the UNFCCC in December 2015 in Paris; b) ambitious commitments up to 2020 that can assure a range of 25–40% emission reductions by developed countries which will give a 50% chance of global average temperatures staying below a 2°C temperature increase; c) a new agreement for the Sustainable Development Goals (SDGs) post-2015, with a focus on fighting poverty and boosting sustainable development, which incorporates robust action to combat climate change; and d) coherence between climate action and disaster risk reduction. CIDSE and Caritas Internationalis stress the need for enough funding and cooperation for sustainable development. The second section underlines the vulnerability of the poor in facing climate change. They put forward as a conclusion of their analysis: the development model based on economic growth that is based primarily on fossil fuel consumption as the main cause of climate change. In section 3 they suggest some principles of Catholic Social Teaching that can be applied to this debate: a sacramental view of the universe; a consistent respect for human life, which extends to respect for all creation; a worldview affirming the ethical significance of global interdependence and the common good; an ethic of solidarity promoting cooperation and a just structure of sharing in the world; an understanding of the universal purpose of created things, which requires the equitable use of the earth’s resources; an option for the poor; and, a conception of authentic development, which offers a direction for progress that respects human dignity and the limits of material growth. Section 4 expresses the urgency and the opportunities offered by the actions taken in 2015. Many initiatives promoted by Christian groups are ready to be launched in order to promote awareness among the public at large on the occasion of COP 21. This article outlines two of them, just to demonstrate their creativity and the connection with religious experience: fasting and pilgrimage. By fasting once a month, individuals and 18 organizations and networks including faith communities, youth groups and environmentalists show solidarity with climate change victims. The purpose is to show the strength of the commitment and to call for world leaders to act in order to stop the climate crisis. Individuals who wish to participate in the action are invited to subscribe on the website: fast for the climate. The campaign was inspired by the Philippine delegate Yeb Sano at the UN climate conference in Warsaw, COP19, after Typhoon Haiyan had just devastated his country in November 2013. He proclaimed a time of fasting during the Conference in solidarity with his country. The Lutheran World Federation (LWF) spread the initiative. There are different ways to fast, to go voluntarily without something: fasting without food, fasting from carbon consumption and production, fasting from food waste etc. It’s possible to share your way of fasting on the website above. 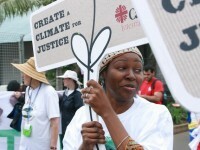 Pilgrimage of climate justice and peace is a campaign already active throughout groups in Europe, Africa and elsewhere in order to express solidarity with victims of climate change. Individuals are mobilised by Christian organisations representing members of the World Council of Churches (WCC). The campaign urges world leaders to produce a legally binding and universal agreement on the climate at COP21.